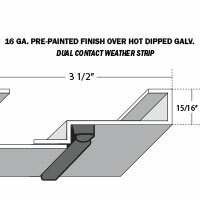 Additional Features Full 1-3/4" thick panel w/ 26 Ga. skins. 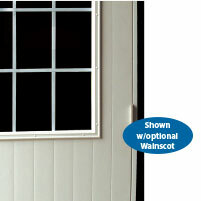 Exclusive inner lock design puts frame on inside of door for quality commerical appearance. All steel frame - all steel skin, pre-hung. 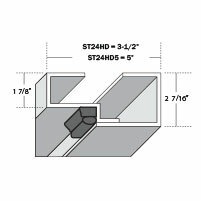 Frame has common header/threshold and nailing and non-nailing jamb and meets handicap specifications. Nylon lockset insert eliminates lockset loosening - no wood block to deteriorate or absorb moisture. 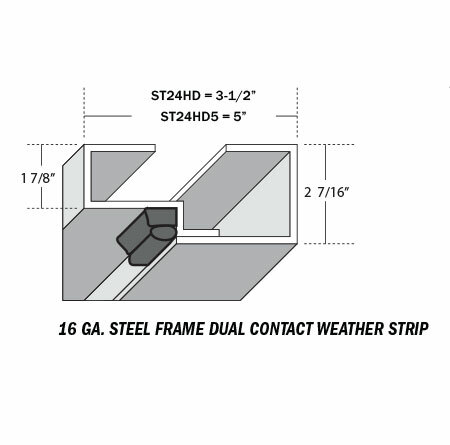 Pre-finished steel frame with Dual Contact weather strip. Fixed-pin hinges. 2-3/4" backset standard. Options Available For All AS Doors Windows. Dead bolt lockset. Door closer. 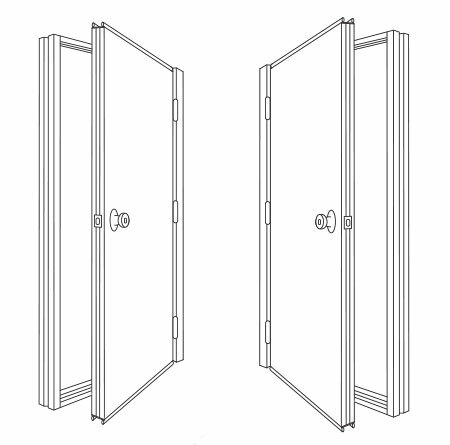 Double door with astragal - no center post. Additional Features Available in white or brown. 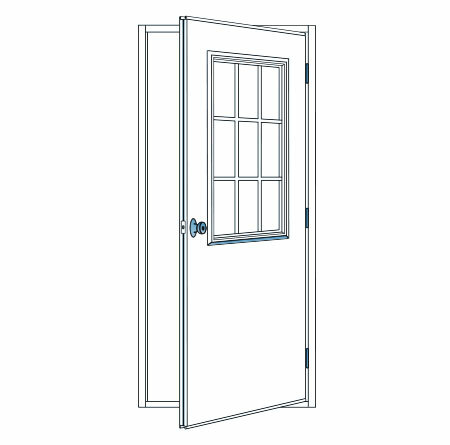 Universal 4 way swing, unless supplied with a window. 24 Ga skin. Additional Features Available in white only. Cross buck design on both sides. Must specify swing when ordering. 24 Ga skin. Additional Features Available in white only. 6 panel design on both sides. Must specify swing when ordering. 24 Ga skin. 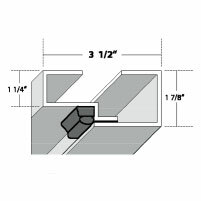 Additional Features Full 1-3/8" thick panel Pre-finished Steel. Wrap-around design gives commerical look to panel. Pre-hung 4-way universal swing. Frame has common header/threshold. 2-3/4" backset standard. Fixed-pin hinges. Nylon lockset insert. 16 Ga. Pre-painted finish over hot dipped Galv. 26 Ga. skins Pre-finished but paintable. Filled with Insulated Polyurethane Foam. Options Windows. Dead bolt lockset. Door closer. 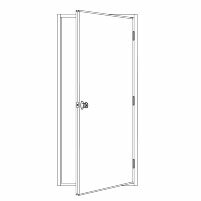 Double door with astragal. 24 ga. skins (ST24NL-1). Available in White. Woodgrain currently only available in 3/0 X 6/8 or smaller. 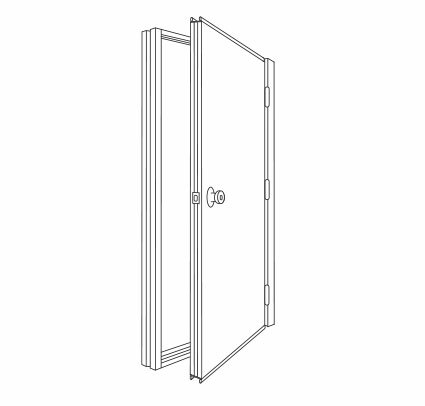 Standard door for masonry construction 40" R.O. width. 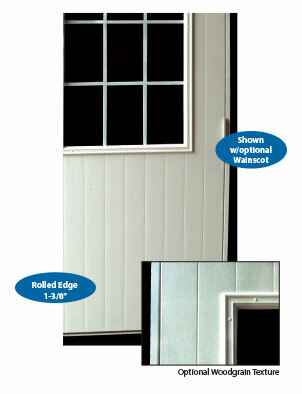 Features Full 1-3/4" thick fully insulated panel. Pre-hung 4-way universal swing. 24 Ga. steel door skins. Available in White (w) or Bronze (bz). Three fixed-pin hinges with reinforced plates. 3 1/2" - 16 Ga. pre-finished steel frame. 1/2" Threshold meets handicap specifications. Options Windows. Dead bolt lockset. Door closer. Double door with astragal. 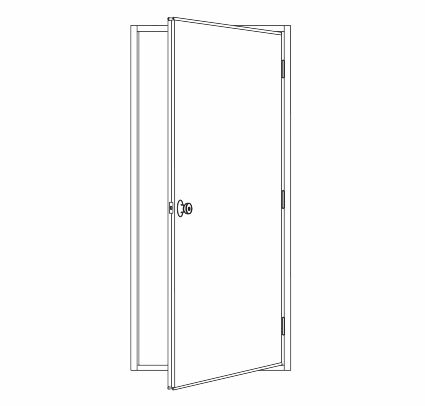 26 Ga. steel door skins (ST26HD). 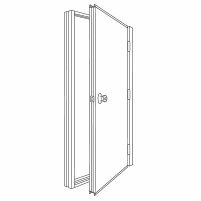 Ideal door for steel buildings 40" R.O. width. 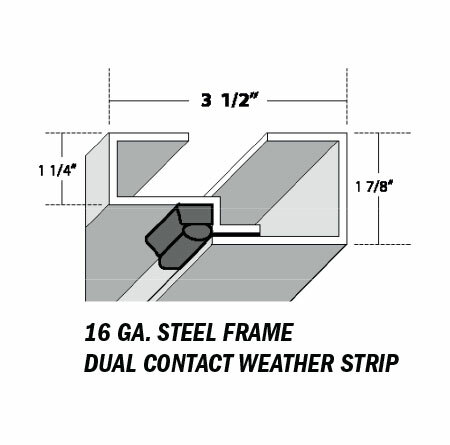 Features Full 1-3/4" thick fully insulated panel. Pre-hung 4-way universal swing. 24 Ga. steel door skins. Available in White (w) or Bronze (bz). Three fixed-pin hinges with reinforced plates. 5" - 16 Ga. pre-finished steel frame. 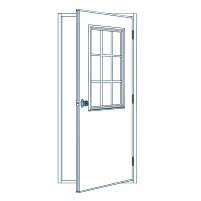 Exclusive innerlock design puts frame inside of door for quality commercial appearance. Options Windows. 26 Ga. skins (ST26HD5). Dead bolt lockset. Door closer. Double door with astragal. Features Full thermal break of jambs, header / threshold and panel. 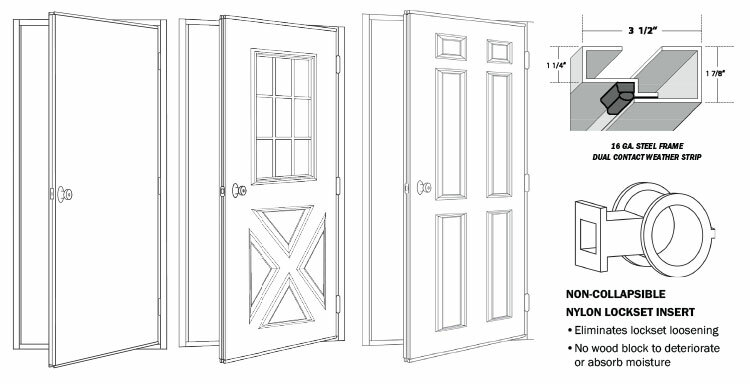 16 Ga. x 3 1/2" pre-painted jambs - white or bronze. 24 Ga. pre-painted dool panel white, bronze, brown. Full perimeter weatherstripping. Universal 4 way swing. 3'0" x 6'8" and 3'0" x 7'0" standard sizes. Three fixed-pin hinges. Nylon lockset insert. Adjustable strike plate. Prepped for closure. Options Windows. Dead bolt lockset. Door closure. Double door with astragal. White, Bronze, or Brown. Add W for White, BZ for Bronze, or BR for Brown to the end of the part#. Excellent energy savings. Attractive seamless appearance. Economy with durability. Ease of installation. Low maintenance (no painting). Features Full thermal break of jambs, header / threshold and panel. 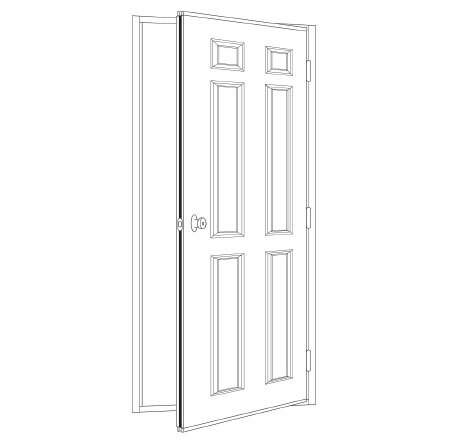 16 Ga. x 3 1/2" pre-painted jambs white. 24 Ga. pre-painted dool panel white, bronze, brown. Full perimeter weatherstripping. Universal 4 way swing. Three fixed-pin hinges. Nylon lockset insert. Adjustable strike plate. Prepped for closure. 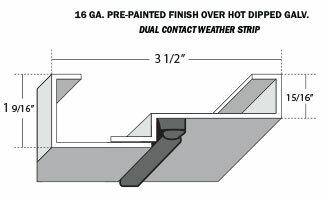 Features Full 1-3/4" thick fully insulated panel. Prehung 4 way universal swing. 26 Ga. steel door skins. Three zinc plated hinges. 3-1/2" prepainted steel frame. Aluminum header/treshold meets handicap specifications. Options Windows. Dead bolt lockset. Door closure. Stainless steel hinges. Features Full 1-3/4" thick panel. Wrap-around design gives commercial look to panel. Pre-hung 4-way universal swing. 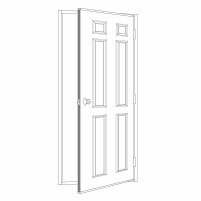 Frame has common header/threshold and nailing and non-nailing jambs. Available in white, brown, or mill frame. 2-3/4" backset standard. Fixed-pin hinges. Nylon lockset insert. Aluminum frame. 26 Ga. skins. Options Windows. Dead bolt lockset. Door closer. Double door with astragal. 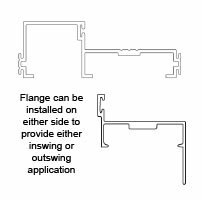 Nail flange - installed or packaged separately. 24 Ga. skins (AL24). Features Full 1-3/4" thick panel. Wrap-around design gives commercial look to panel. 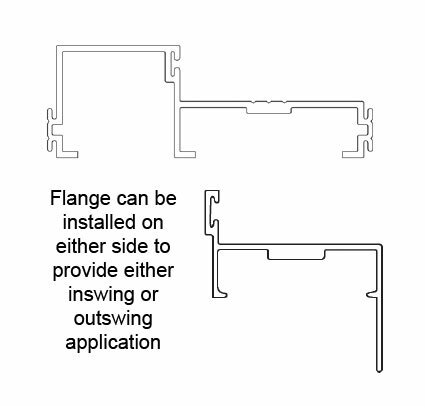 Frame has common header/threshold and nailing flange standard. Available in white only. 2-3/4" backset standard. Economy and durability. All aluminum pre-painted frame. 2-3/4" backset standard. Low maintenance (no painting). Fixed-pin hinges. Pre-hung universal swing. Nylon lockset insert eliminates lockset loosening - no wood block to deteriorate or absorb moisture. 26 Ga. skins. Options Windows. Stainless steel roller bearing hinges. Dead bolt lockset. Door closer. 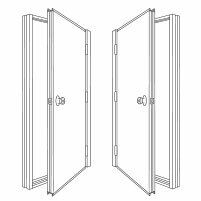 Double door with astragal. 24 Ga. skins (AL24U).